We would like to say thank you to all the hard working teachers out there! In honor of teacher appreciation week we decided to post some cute school projects. These projects were done by Mary Frances Fabbri. She does amazing projects. 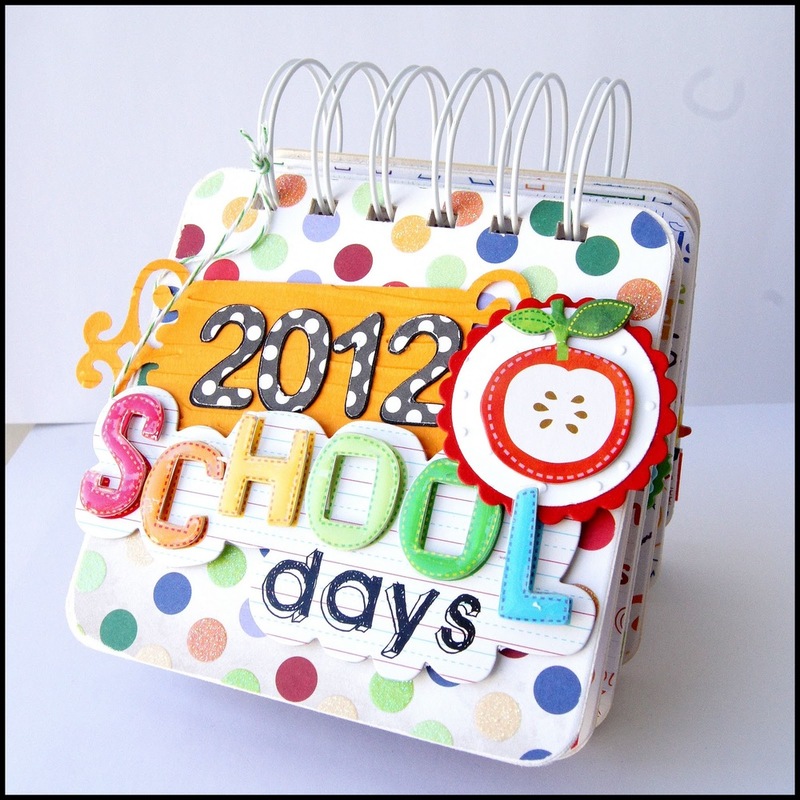 See the school projects below she made with one of our scrapbooking page kits. She covered a wood apple she purchased. Cut strips of paper and torn them into little bits, then mod podged them onto the apple. I love that she made a little band with paper and topped it off with a sticker matted with cardstock. Maryfrances made this pencil holder out of an dink mix container that she painted white. What a great idea! 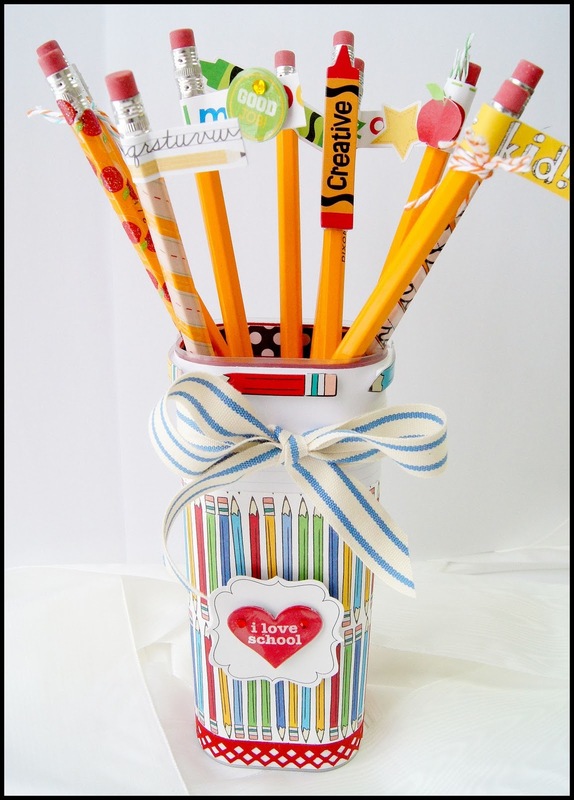 More paper and stickers were added to create this great pencil holder. Stickers and 3D embellishments were added to the pencils. How cute are these? Such a cute way to spice up pencils or pens. 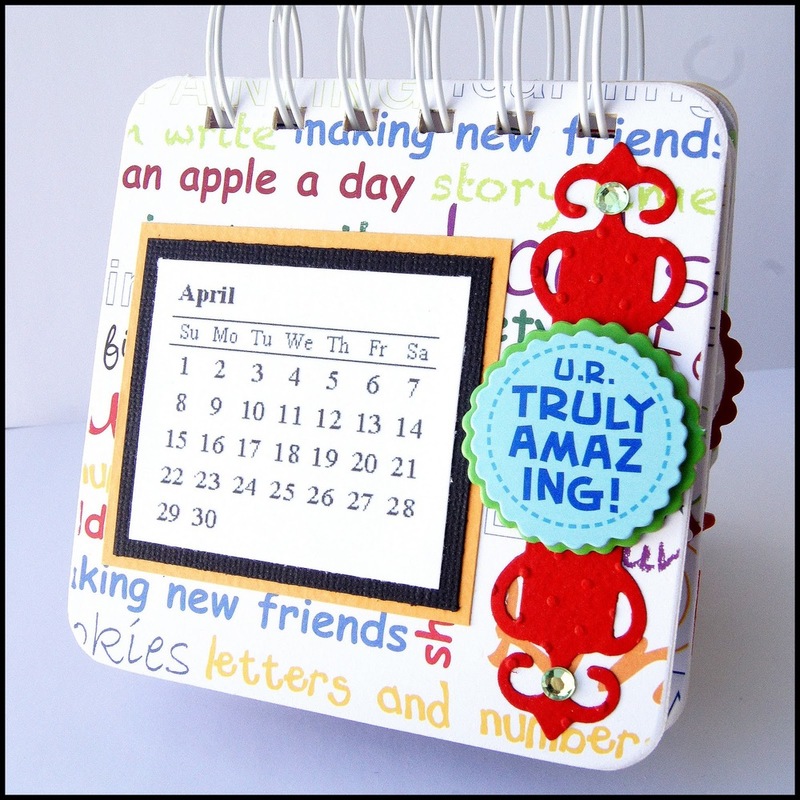 This desktop calendar was made with bar coasters, paper, embellishments and ribbon. In addition to the mambi products she also used spellbinders dies and swiss dot embossing for the cute dot patterns given to the papers. Great ideas and love all these teacher inspired crafts. Hope they inspired you to thank a teacher this week!